Columbus is my first love…. as travel goes. It’s no secret (to regular readers) that I love Ohio State football. I moved away 13 years ago (wow! 13…. really? ), and Columbus still holds a special place in my heart. 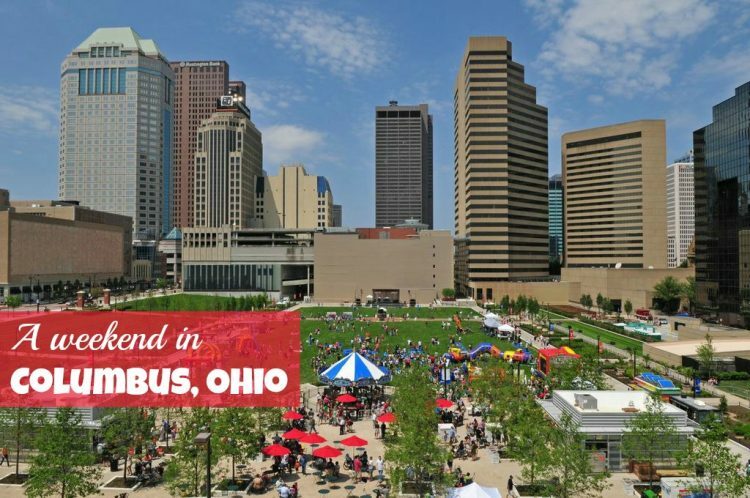 And, there are just so many things to do in Columbus, Ohio — you can spend a weekend or a week here and still not see it all! Columbus hosts conferences and sporting events throughout the year — and that means hotel rooms are plentiful. Book a room at your favorite chain. 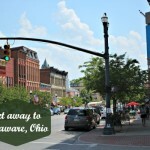 Or, if you want something different, stay at an inn or B&B in one of Columbus’ charming neighborhoods. 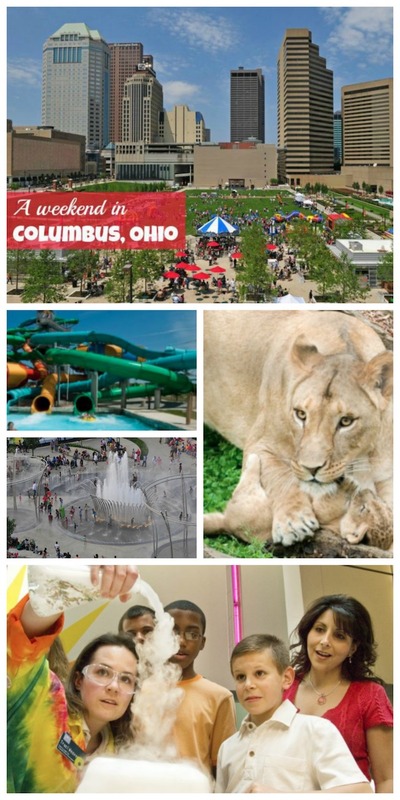 The Columbus CVB has partnered with several hotels and attractions to create money saving packages based on things to do in Columbus, that’s a double win! Prepaid and preplanned. Explore Downtown Columbus. With so many things to do in Columbus, I highly recommend you spend one day downtown. The CBUS — a free downtown bus makes navigating the city easy — and cheap! You can’t beat free! Start at COSI, the Center of Science and Industry. This hands on science museum provides educational entertainment the whole family is sure to enjoy. Little Kidspace, designed especially for the museum’s youngest guests includes a tree house, health clinic, ambulance and helicopter. Staff supervises the entrance to this area, giving parents peace of mind if a little one toddles off. This area also includes a lunch area, vending machines, a quiet nursing room and family friendly restrooms. For older kids, COSI’s attractions reflect Columbus’ contribution to the world — including exhibits on the body, technology and space exploration. DID YOU KNOW? More astronauts come from Ohio than any other state. Enjoy lunch at a Food Truck. Columbus’ progressive food scene includes a number of food trucks, offering unique cuisine. See? Mid-size cities pack the same fun as the big ones! An added bonus, food trucks in Columbus are easy to find! If you plan your trip for mid-August, enjoy the Columbus Food Truck Festival and support Ronald McDonald House at the same time! Next, kick back and relax at Columbus Commons and the Scioto Mile. 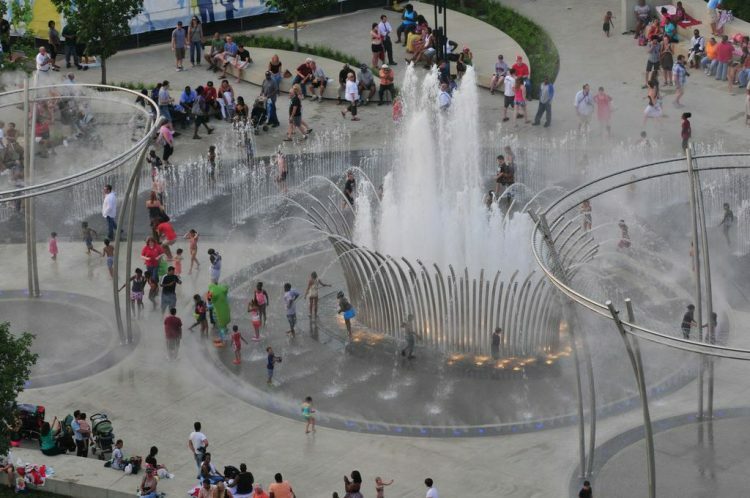 Shops, restaurants, paved paths along the Scioto River and a 15 thousand square foot water feature provide plenty of entertainment. Benches, swings, and grassy areas provide plenty of places to relax and soak in the atmosphere. Bring the kids’ swimsuits and towels. They’re sure to get soaked in those fountains! Photo ©OSP Images. Used with permission of Experience Columbus. Return to your hotel to enjoy the pool and amenities or rest your feet! You’ll need it for tomorrow! Today it’s all about the lions and tigers and bears! Oh my! Why? 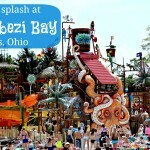 Because of all the things to do in Columbus, the Columbus Zoo and Zoombezi Bay Waterpark are a kids’ top pick! Seriously, the Columbus Zoo is my absolute favorite zoo in the entire country (admitting my bias, again!). Known as Jack Hanna’s home zoo, the animals reside in “natural” habitats, providing guests with a better understanding of habitats and making animals feel more comfortable. The zoo is home to Manatee Coast, one of only three facilities outside the state of Florida to rehabilitate these docile creatures so often injured by boat propellers and illegal hunting. Wear your walking shoes today! Feel free to pack a picnic lunch, just leave straws and glass at home as they are dangerous to the animals. Strollers, wagons and wheelchairs are welcome — or you can rent a stroller at the park. When it gets hot, do what the animals do and take a swim next door at Zoombezi Bay Waterpark, which offers 14 water attractions to cool and refresh! Purchase a combo ticket for both parks to save on admission. NOTE: The water park is open later than the zoo most days, so enjoy the zoo first. Before going home, stop for ice cream. In fact, you could plan a whole day around ice cream! In a recent poll on my blog, Jeni’s Splendid Ice Creams came out on top, but I have yet to try it. I do know that Graeter’s is AH-MAZING! 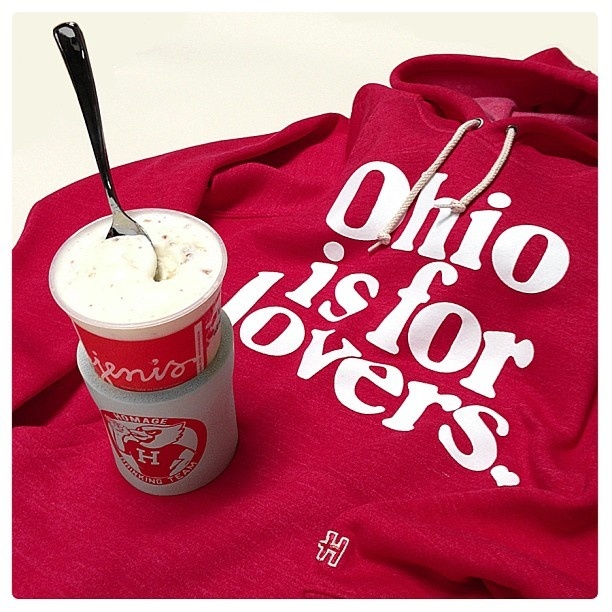 I figured with the big shout out to Graeter’s, Jeni’s deserves some recognition! Honestly, I could write another five days worth of things to do in Columbus. If my family was traveling, we’d take the Buckeye Nut Trail since we’re nuts about the Buckeyes. We’d add a stop at Ohio Stadium for a photo op, too. I realize not everyone is as nuts about the Bucks as we are, so here are some other one day itineraries. Pick your favorite. Enjoy the day and rest well before going home. Be an artist! Visit the Columbus Museum of Art. Then, make your own candles at The Candle Lab. Top of your artistic experience with dinner at Mozart’s Bakery and Piano Café. Enjoy the Adventure! Beyond the city parks and fabulous zoo, there are dozens of great outdoor opportunities in the greater Columbus area. 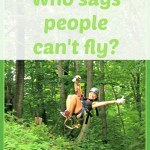 Consider a zip line canopy tour in the Hocking Hills, a tour of the AMA Motorcycle Hall of Fame Museum, or a round of golf at one of the many golf courses in the area (Jack Nicklaus is a Columbus native!). In addition to the links to specific attractions and restaurants included in this post, these resources will help you plan your trip to Columbus. I can’t wait to hear what you think of it! The Columbus CVB website, Experience Columbus. It provides suggested itineraries, discounts, and package offers. Catch the CBUS. Columbus offers free public transportation on a set route downtown. It’s both budget friendly and hassle free! Kids get to ride the bus, something rare for those of us in small towns. Franklin County Parks Guide. With more than 220 parks in Franklin County and an extensive trail system, you’ll find the perfect park to relax. Many are dog friendly, too! When we went, I had planned to go to the Kelton House Museum and Garden, which is associated with the Underground Railroad. However, it was closed that day so we went to the Art Museum which was a great choice. The Columbus Museum of Art is wonderful. We spent quite a while there and would have enjoyed even more. There is plenty for kids to enjoy as well as adults. It really is quite a great art museum!! Also, important: It is FREE on SUNDAY!! Free on SUNDAYS! Fun and budget friendly always works for me. I love Columbus OH because I went to Devry there and the city can be a lot of fun. You don’t need money to have fun in Columbus either. Thanks, Rebecca! DeVry is a big institution in Columbus. Do you still miss it like I do? Thank you, it seems to be a nice city to pay a visit and/or live. I will go there in the future. Your blog is very good by the way. Thanks so much for that compliment, Bob. I try! Sounds like a fun tour! I have never been to Columbus! It’s lots of fun, Jessica. My local friends have been adding more suggestions on Facebook, like the Anthony Thomas Candy Factory tour! I’m not sure if it’s still open, but the Rhode’s State office Tower used to have an observation floor (40th?) open during business hours. It offered beautiful 360 degree views of Columbus. On a clear day you could see Port Columbus International, The Shoe and more! It’s also where the Peregrine Falcon nest is. 🙂 YELP has a review: http://www.yelp.com/biz/rhodes-state-office-tower-columbus. Next trip, ice cream and the Scioto Mile! You sound adventurous like our family! Im from michigan, in 6th grade we went on a school trip to the zoo in columbus but I haven’t seen any of the rest of the city. would love to someday. i am close enough that we could make a day or weekend trip pretty easily. Emily, when I lived in the Cleveland area, we would go to Columbus for a fun day and dinner. Two hours isn’t too far. I hope you make it there soon! At the very least add a good dinner to your stop! Whether a food truck or Schmidt’s or (dare I suggest it) ice cream and you’ll remember Columbus fondly and plan a return visit! It took about 5 years living in the south to get over my Columbus food cravings! Seriously. I have been to Cleveland before to see the Indians’ stadium and to Cedar Point (because they had a Snoopy Camp lol) but never been to Columbus. Now I know how fun it is, so I will be planning on it. We are adventurous and artists in my family, so it will be a great experience! Elayna, have fun when you go. Never been to Columbus, or any city in Ohio for that matter (other than driving through). Maybe someday! You’re definitely missing out! Besides Columbus, Cleveland has completely revamped its image. We enjoy the waterfront area, the area around the ballparks and the Rock ‘n Roll Hall of Fame. Throw in theme parks and Amish country and Ohio has something for everyone!